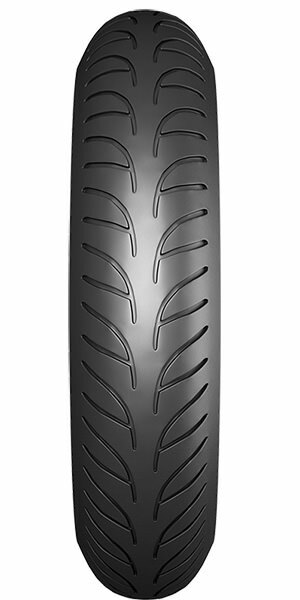 The pattern of the front tire is to enhance cornering and handling. The central groove is for better draining and reducing the possibility of hydroplaning. The V-shaped lug will guide the water to the center and decrease the water splash. 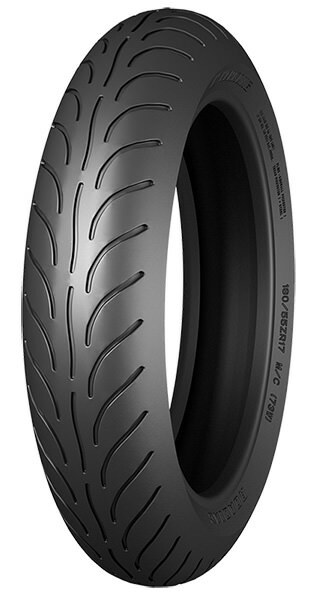 The main task of the rear tire is stability, comfort and longer endurance. 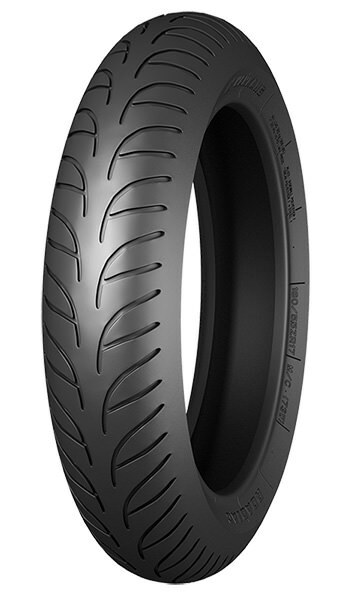 The center rib will efficiently improve not only the comfort but also stable handling. 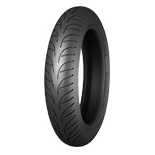 Moreover, the wider TDW will effectively lengthen tire duration. The pattern on 2 wings will also increase the performance of cornering and water draining. 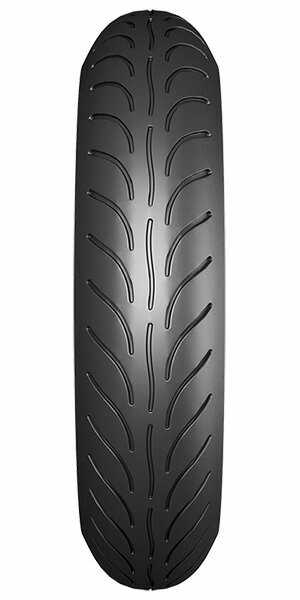 The camber angle of the front tire will be large due to cornering. 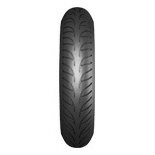 Therefore, 40% of the cap tread at the shoulders, which is the contact patch on the ground while cornering, is made of the softer compound with better gripping. The central part of the tread is for straight riding. Harder rubber is used to enhance the endurance. Although the camber is smaller on rear tire, the contact patch is wide due to the flatter profile. 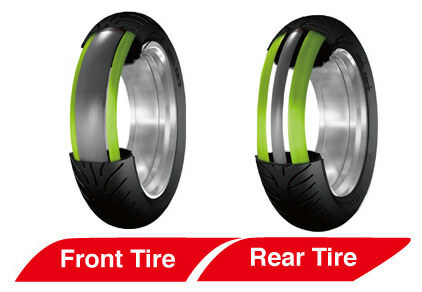 Therefore, better gripping compound is applied evenly on the both sides of the tread, respectively taking 40% of the cap. 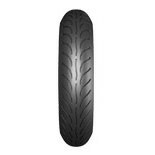 As for the rest 20% in the central part, harder rubber is to generate more power against the surface of roads. JLSB (Jointless Space Belt) is put in use on Roadiac WF-1. Nankang applies “Single Steel Winding” technology on Roadiac. Comparing aramid or other fibers, steel belt could provide stronger stability, handling, stiffness, and temperature control. Roadiac is also less possible to be pierced and much safer.